I enjoy making unexpected discoveries with one revelation leading to the next and then the next like pulling apart one of those Russian nesting dolls. My chain of discoveries started with finding "fresh" puffball mushrooms during a walk in a local park. I was thrilled because I had never taken pictures of the early stages of these peculiar looking mushrooms. Puffballs are the common name for the fruiting structures of a group of fungi that were once lumped together in the descriptively named but now obsolete taxonomic class, Gasteromycetes (Greek: gaster = stomach; mycetes = fungus). 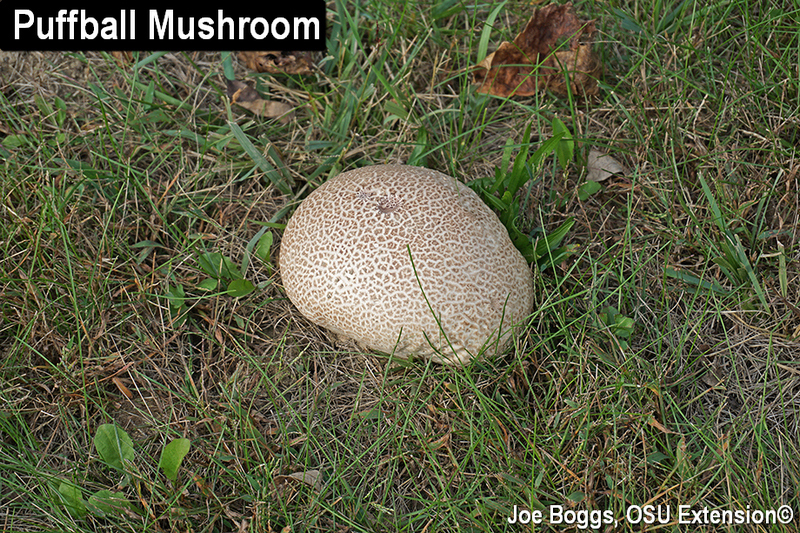 Unlike the mushrooms that we may love on our pizzas with the spores produced and released from external gill-like structures beneath a cap, the spores in puffballs are produced internally inside a hollow cavity called a gasterothecium (= stomach-like). The puffballs I came across with their white, spongy interiors will eventually undergo a dramatic change to become brown sacs full of powdery spores that puff when squeezed; thus puffballs. I hope to return to capture the next phase in their development unless someone steps on them to release clouds of spores. Puffballs have great entertainment value. I pulled up one of the puffballs and discovered the bottom was riddled with pits and holes created by pillbugs as they dined on the fungal delicacy. I was thrilled because I had no pictures of these odd looking terrestrial crustaceans (phylum Arthropoda, subphylum Crustacea). It was like lifting off the top of a Russian nesting doll to discover another doll hiding beneath. Pillbugs are so-named because they roll themselves into a pill-like ball when disturbed. This odd behavior gives rise to other common names such as armadillo bugs based on their roll-up behavior coupled with their obvious body plates. You see this common name reflected by name of the pillbug family, Armadillidiidae. It also appears in the name of the genus of the two most common pillbug species found in Ohio, Armadillidium vulgare (common pillbug) and A. nasatum. Both are European natives that were introduced to North America so long ago it's now common to think of them as native species. Pillbugs live in dark, moist environments and are generally considered to be detritivores feeding on decaying plant debris. However, on rare occasions, they may feed on living plant material and have been known to cause damage to vegetables including root crops like radishes and carrots as well as lettuce leaves and ripe tomatoes. They may also become serious greenhouse pests by consuming seedling roots and young stems in contact with the soilless media. However, pillbugs are mostly just nuisance pests because of their propensity to show up in large numbers where they're least appreciated such as in cool, wet garages and basements. Sowbugs (family Oniscidae) are not the same as pillbugs although they both may be found living in the same locations. Sowbugs have two, small, pointed tail-like appendages that stick out of their back ends. Pillbugs do not. However, the big difference is that sowbugs cannot roll their bodies into round balls. They may huff and puff and curl a bit, but they just can't pull off the rolly-pollie body tuck. Pillbug management around homes should focus on prevention through closing entry points and environment modifications to promote drying. Door sweeps and door jambs should be inspected and action taken to close gaps that have become too wide. Pillbugs benefit from high moisture, so running dehumidifiers will help keep basements and garages dry. Mulch should be raked away from foundations to produce a "dry barrier." Also, decaying vegetation should be removed. Of course, there are things that eat pillbugs which brings me to my third Russian doll discovery. While taking pictures of the pillbugs crawling in and out of the cavities in the puffball, I came across a voracious predacious soldier beetle larva (Chauliognathus spp., family Cantharidae). The soldier beetle larva was thrusting itself into the cavities to enjoy a pillbug meat treat. Adult soldier beetles are also called "leatherwings" for their soft, flexible front wings. The adults feed on nectar and pollen and are considered important plant pollinators. In fact, goldenrod soldier beetles (C. pennsylvanicus) are currently swarming over the flowers of its namesake native host plant. Another common Ohio species, the margined leatherwing (C. marginatus), made its appearance this past spring and early summer on other flowering plants. Soldier beetles and their predacious larvae are a good example of the value of providing food for a pollinator adult (e.g. butterfly gardens) so their predaceous larvae can help reduce pestiferous arthropods. Research has shown the same is true for pollinators with parasitoid larvae. It's like opening a Russian nesting doll to discover unexpected treasure hidden beneath.